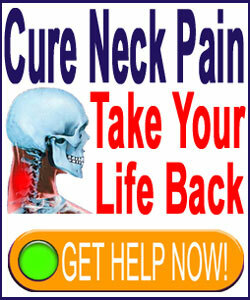 A neck cramp can be horrifically painful and might even affect the posture of the head. Muscular cramps in the neck and upper back are certainly some of the worst possible symptoms of any neck pain syndrome. When cramps come on, patients are helpless in defending themselves against the agonizing contractions for as long as the spasm endures. Since there are many interrelated postural muscles in the upper dorsal region, these cramps can inhibit proper functionality of the neck, shoulders and arms. We understand that neck muscle spasms can be very frightening and torturous. However, we will use this dialog to present comfort in the form of knowledge, so that patients will be better able to cope with spasms and even treat them effectively at home. 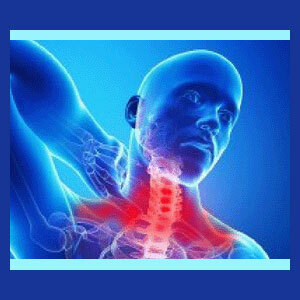 This discussion will focus on muscular cramping in the neck, including its effects, causes and therapeutic interventions. When cramps strike, some of the muscles of the neck and upper back lock rigidly, creating a feeling of painful, extreme tightness. Any semblance of movement exacerbates this feeling, drawing the muscles deeper into spasm. Many patients complain that they feel as if their neck muscles are literally pulling themselves apart and are forced to recline in whatever position will keep them motionless until the terrible pain loosens its death-grip. Most of the time, cramps will occur in the dorsal or side neck muscles, affecting the region from the base of the skull to the region under the ear to the cervicothoracic juncture at the prominent vertebral protrusion at the bottom of the neck. However, sometimes, the spasm will continue further down the top of the shoulder and into the arm. This particular symptom is often mistaken for a heart attack or stroke, making it literally terrifying. Occasionally, the cramp will affect the frontal region of the neck, including the throat and collarbone region. Unilateral expressions are much more common than cramping on both sides of the neck. It is virtually impossible to concentrate or continue any physical activity during a painful muscular spasm in the neck. Worst of all, patients never know how long the torment will last, with cramps ranging from several seconds to several days all being considered quite normal. When cramps become recurrent problems, patients find themselves often disabled by their symptomology and unable to perform many of life’s necessary responsibilities. Occasionally, the patients will suffer temporary torticollis, also called wry neck, due to muscular spasming that tilts the head abnormally to one side or the other. There are many possible causes of cramps in the neck region. The most logical and common is certainly ischemia. Ischemia is an oxygen deprivation process that is usually caused by a lack of typical blood circulation to a specific region or anatomical structure. Ischemia can also result from deficiencies in the blood’s ability to carry oxygen. Most acute ischemic presentations due to structural causes result from positional-related circumstances where blood is literally prevented from reaching its destination due to postural or functional reasons, such as when sleeping with the neck kinked sharply on a hard pillow. However, most chronic and recurrent cramps caused by ischemia are enacted as defense mechanisms against stresses and emotional sensitivities by the subconscious mind. This psychogenic form of pain is well-known in the medical literature and forms the basis for Dr. John E Sarno’s groundbreaking work on the subject of tension myoneural syndrome. Other potential causes of cramping in the neck include muscular injury or repetitive strain, tissue inflammation due to chemical agents, or neurological concerns often linked to either spinal nerve root compression syndromes or thoracic outlet syndrome. Some complementary therapists have their own ideas about alternative causes of neck cramps, such as vertebral subluxations, trigger points or energy blockages, but these causes have not been proven to exist inside the traditional medical arena. Therefore, each patient must be cautioned to thoroughly research the idea of alternative theory of cramp causation before accepting the diagnosis from a massage therapist, energy manipulation practitioner or chiropractor. The single most important and effective form of first aid for neck cramping is to relax and not get stressed over its occurrence. It sounds impossible to do, given the truly miserable pain involved, but it is crucial to remain calm. Becoming upset will only tighten the muscles more and increase the pain. We usually recommend that patients find the most comfortable position and simply allow themselves to rest. Try not to move during the most acute stages of spasm, but never assume that you can not move, especially for long timelines of days at a time. Sometimes, ice or heat may be helpful and will certainly not do any harm when used as directed. Likewise, topical application of OTC medications and light massage might also help to increase circulation and therefore provide relief. We tend to advise against the use of pain medications and muscle relaxants in all but the very worst cases of muscular cramping. These drugs do not always provide any benefit, but they always demonstrate serious risks and health hazards. This is especially important for patients to understand if they have developed a habit of using these medications regularly for avoiding or treating neck pain. When the spasms de-escalate, it is then time to begin the process of determining and understanding the cause of the symptoms. In cases of known injury or neurological pathology, treatment should be rendered by a qualified physician. When the cause is unknown, yet the problem persists recurrently, we tend to suggest that an oxygen deprivation syndrome is the most likely cause. The patient should be sure they are free from circulatory concerns that might be responsible. If all checks out with the blood vessels, then the patient is best served pursuing knowledge therapy as a treatment, since the cause is likely to be of mindbody origin.